Allowing users to edit there own profile (including image) really helps transforms a website into a community. 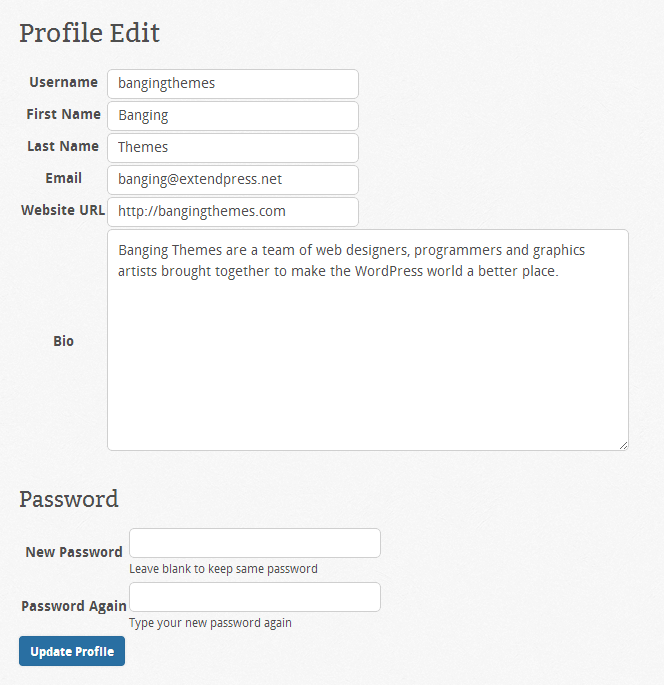 The My Profile WordPress plugin allows you to add the profile editing functionality easily by dropping a shortcode into an existing or new page. Designed to be as easy to install and set up as possible it only takes a few minutes to get working. 26/01/2013 V1.5: The first major update to the plugin has added 2 new shortcodes that make it easy to print the users profile image and any detail about them needed to a page. 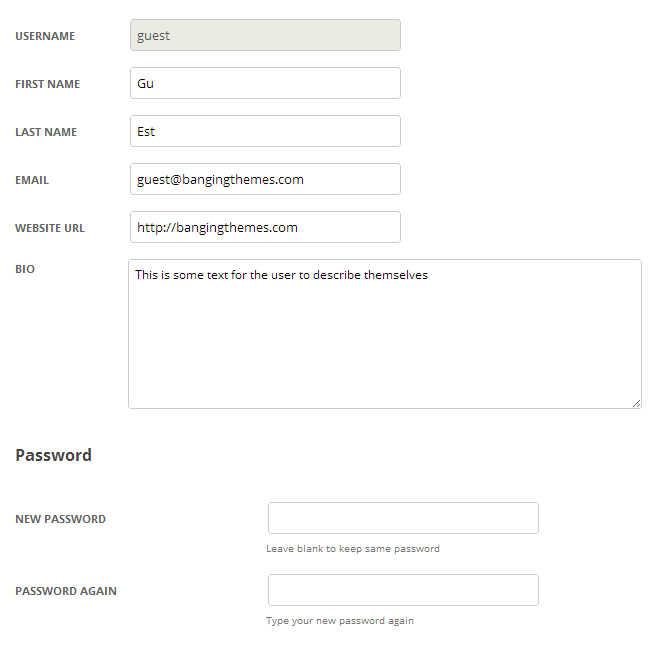 04/03/2013 V2.0: Added the ability to ask users for custom information in the profile editing form. This can then be printed to the screen with another shortcode that comes with this plugin or from another plugin or theme by using the WordPress get_user_meta() function. 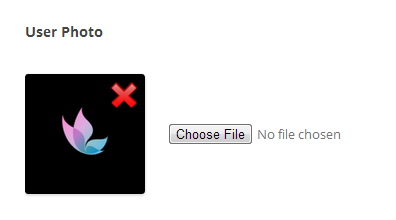 17/03/2013 V2.5: Users may choose there own display name from a drop down on the profile edit form. With a shortcode dropped into a page you instantly create a profile editing section on your website for registered users to alter there personal details without having to go into wp-admin. This is great to keep your brand consistently active during the visitors entire journey. Bring your website alive with color & graphics by allowing users to easily add there photo or brand image. Another simple shortcode makes it easy to add this to a page (requires the free plugin User Photo from WordPress.org to handle the image moderation). The beauty of this plugin is that there is no settings. Just install and you can be allowing visitors to edit there profiles in minutes. Styling can be easily altered by even the lower end web designers.